Black History Month: What’s in the Archives? People of African descent have been part of Vancouver history since before the City was established. It has been a challenge, however, for the Archives to acquire records which document the activities of individuals and the groups in the Black community. In recognition of Black History Month, we thought we would feature a few of the records we do have and, by doing so, encourage the donation of other records. 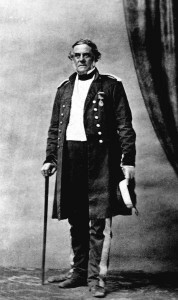 Sir James Douglas (1803-1877). Item # Port P1593. 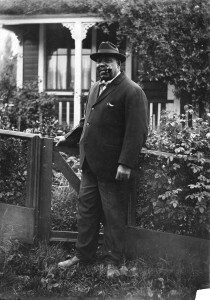 Governor Sir James Douglas, born in Guyana to Creole and Scottish parents, was not a resident of Vancouver but he encouraged the settlement of Blacks, who were fleeing from persecution in California, on Vancouver Island. Some 800 left for Victoria between 1858 and 1860 and descendants of these immigrants eventually settled in the Lower Mainland. 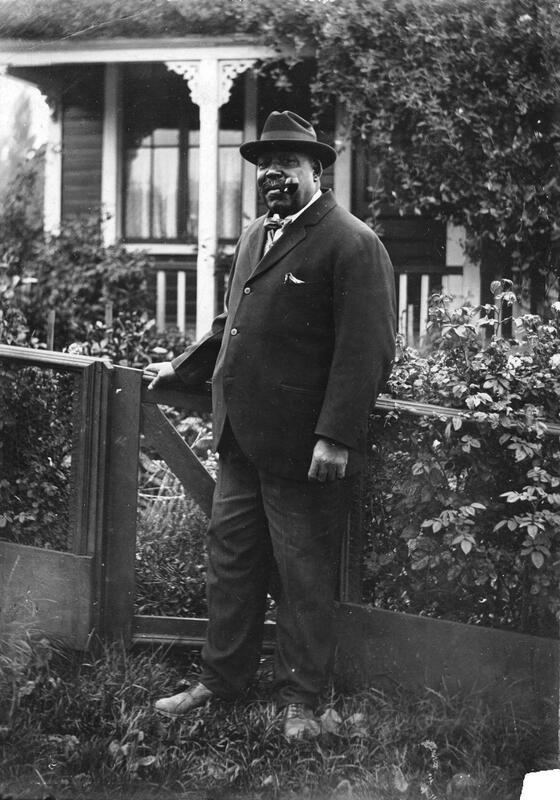 One of Vancouver’s best-known and earliest Black residents was Seraphim “Joe” Fortes (1865?-1922). Originally from the Caribbean, Joe arrived as a crewman aboard the Robert Kerr in December 1885. 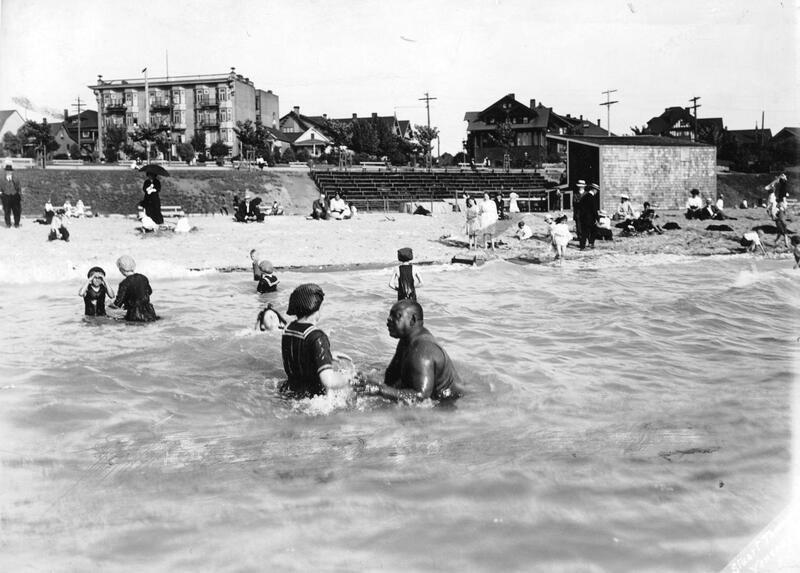 Joe worked in various jobs, including as a bartender, but it is his legacy as a swimming instructor and Vancouver’s first official lifeguard at English Bay for which he is best remembered. 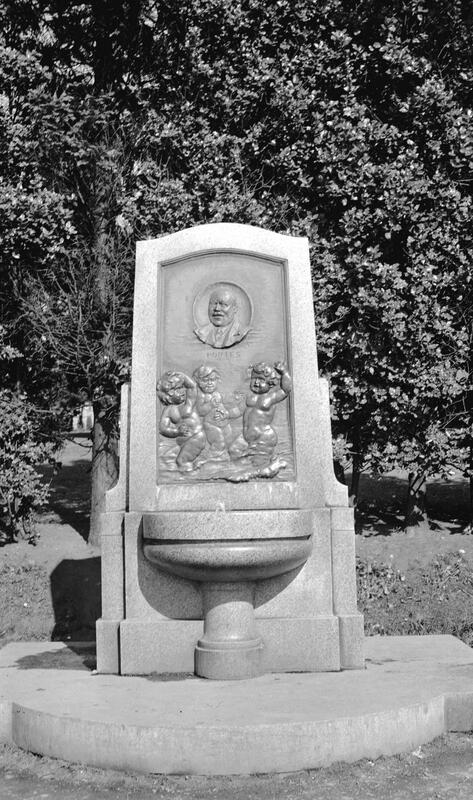 To honour Joe Fortes, a fountain, created by Vancouver sculptor Charles Marega, was erected in 1927 in Alexandra Park, across from English Bay. It includes a portrait of Joe and three children playing in the water and bears the inscription “Little Children Loved Him”. 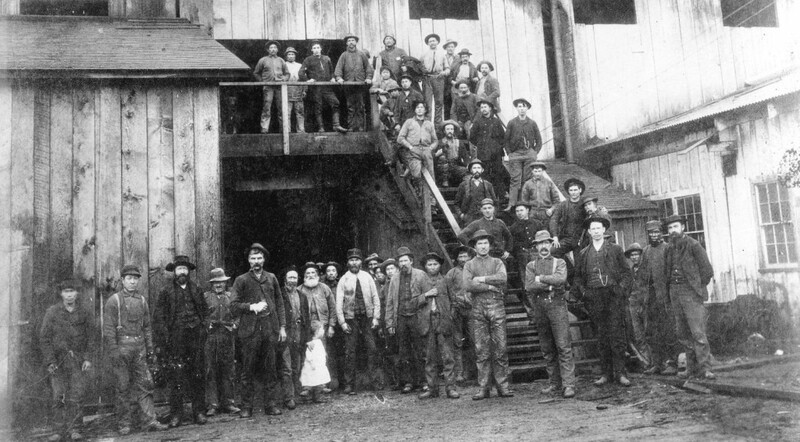 Although there are few records that document it, Vancouver industries such as the lumber mills did hire Black employees. A good example is the man standing on the far right in this photograph of Hastings Mill workers in 1889. 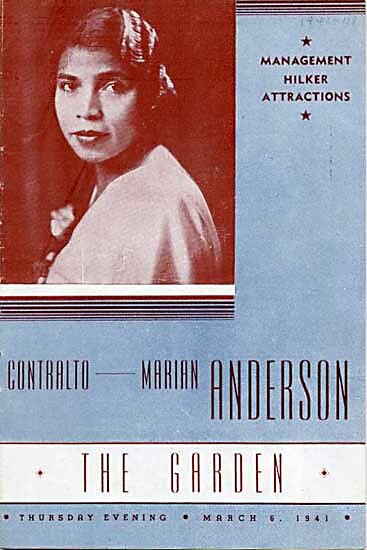 Prominent Black artists such as Paul Robeson and Marian Anderson performed in Vancouver and the Archives has copies of their programs in our holdings. Vancouver citizen Harry W. Jerome was a world-renowned athlete and world record holder who participated in three consecutive Olympic Games: 1960, 1964 and 1968. Besides his athletic success, Jerome was a tireless promoter of sports among young people in all regions of the country and especially for girls and visible minorities, for which he received the Order of Canada for living an outstanding life. 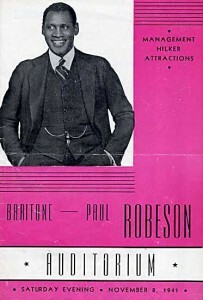 The Archives has little documentation of Harry Jerome’s career, although researchers can find material in sculptor Elek Imredy’s fonds (AM1371) relating to the competition to design the statue in Stanley Park. Jack Harmon won the sculpture competition. 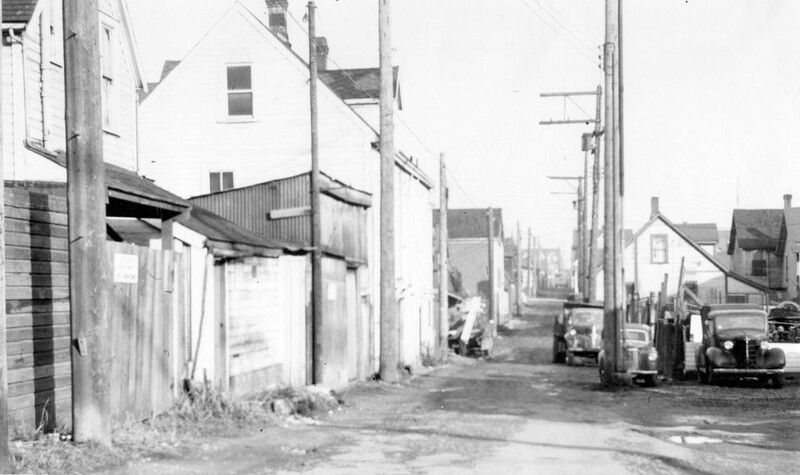 When members of the Black community on Vancouver Island began to migrate to Vancouver after 1900, many settled in the Strathcona neighbourhood around an area known unofficially as Hogan’s Alley. Hogan’s Alley ran between Union & Prior streets from the alley east of Main Street, called Park Lane, to Jackson Street. Just 8 feet wide, this alley was the heart of the Black community with its homes, businesses and the African Methodist Episcopal Fountain Church. Some of the first restaurants in Vancouver to feature fried chicken were located in the area, including Vie Moore’s Chicken and Steak House which was located just off Main Street at 209 Union Street. In the mid 1930’s, Hogan’s Alley became a target for Mayor McGeer’s anti-vice campaign. Demolition of some buildings located there occurred near the end of the decade, but most survived up to the 1960’s. In 1965 the City voted to replace the Georgia Viaduct and later purchased and demolished the remaining buildings. The Archives has digitizedsome of the City records, including photographs, which document this activity. We welcome the chance to acquire and preserve records from Vancouver’s Black community, such as the minutes and correspondence of community organizations, photographs of individuals and families, papers relating to businesses or moving images of activities or events. Please help us before the records are lost. 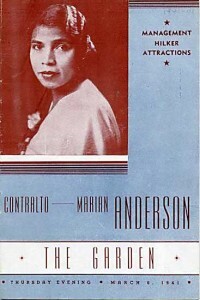 This entry was posted in General, Holdings and tagged Black History Month, Charles Marega, English Bay, Georgia Viaduct, Harry W. Jerome, Hastings Mill, Hogan's Alley, Jack Harmon, Joe Fortes, Marian Anderson, Mayor McGeer, Paul Robeson, Sir James Douglas. Bookmark the permalink.